That’s a quote from just one of our many flattering customer testimonials. Sounds much better coming from them instead of us, right? Featuring customer success stories on your website isn’t just a nice way to show off your wins. Prospective customers want to read how your product improved the lives of your existing customers. While feature pages are important, quotes from businesses just like them can help prospects visualize the benefits your product could provide. It personalizes the value propositions. 90% of customers claim their buying decisions are influenced by the positive online reviews they read before purchasing. Testimonials are also far more effective than traditional forms of paid advertisements. Nielsen found that 92% of consumers around the world trust earned media (like testimonials) over paid advertising. Our own experience shows that prospects relate strongly to stories from similar industries. Is it time to source some new testimonials for your site? We’re sharing our winning process for recruiting testimonials that help grow your business. 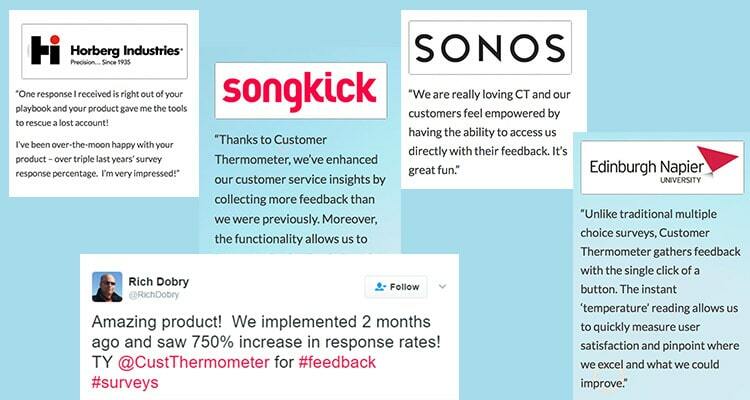 Read on to find how we’ve collected over 80 customer testimonials (and counting!) for our website. Testimonials don’t happen by accident. If you want to generate a big supply of enthusiastic customer testimonials, you have to actively recruit them. If you don’t make it a priority, it’s easy to get distracted by day-to-day work and wonder why your testimonials are out of date or sounding repetitive. Create team goals and processes for recruiting testimonials. We set aside time to spend on our testimonials program monthly. Each month we target at least two new quotes that we can post on our customer testimonial page of the website. We pay specific attention to having those referrals come from different industries and countries to demonstrate our breadth. If any potential customers read through our testimonials page, it’s likely they will find a quote that’s relevant to the problems they’re currently experiencing. 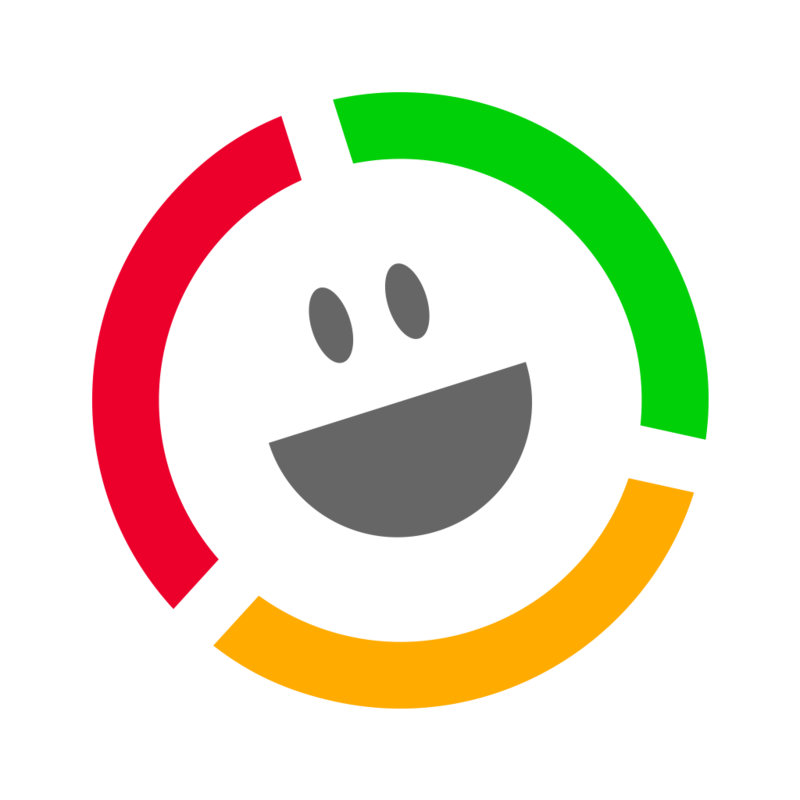 At Customer Thermometer, testimonials are handled at senior level with the founders being involved too. It’s that important to us. Customers are usually delighted to help but you have to meet them halfway and make it as easy as possible for them to talk to you. When asking for testimonials explain exactly what you need upfront. If you want a quote about the amount of time your product saves, ask for that. It helps them narrow in on what they should say. Suggest a good length of quote – usually two or three sentences is enough for your website. Explain where the quote will be used, and provide examples of previous testimonials. If you are creating video testimonials or interviewing customers for case studies, try to interrupt their work day as little as possible. Be prepared, and go to them. Don’t make them fit into your appointment schedule! While these customers love your product, they are doing you a favor. Help them, help you! Sourcing great testimonials relies on our utter dedication to providing excellent service. There is a lot of software in the world. But most of it is poorly supported. We actively differentiate on service. If you can generate goodwill with your customers it goes both ways, and they are often delighted to be asked to provide a testimonial as a reward for a job well done. Our testimonial team was able to reach out to the grateful customer and secure a quote for our testimonial page from them. Without Liz’s amazing service, that wouldn’t have happened. As a SaaS business we have customers all over the world. We can’t physically meet all of them, (but we’re trying!). We proactively reach out to check in with local customers and see how they are getting on and if they’d be interested in a catch up. Anytime we travel for industry conferences, we search our customer list for offices in the area and send them a note. Often one of the founders or senior team will visit with them for a coffee. More often than not, these meetings bring out amazing stories about how Customer Thermometer has helped them. These stories turn into valuable quotes and testimonials. Customers appreciate having a direct conversation with our senior team, and we appreciate the opportunity to hear from our customers in person. Choosing who you contact for testimonials is more of an art than a science. 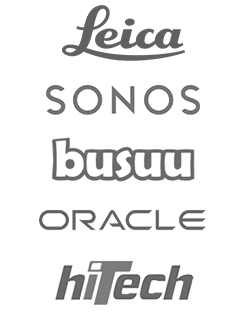 You want recognizable brands, from diverse backgrounds and industries. Sometimes you might select customers based on who they are – but often the best testimonials come in through your feedback inbox. We use our own service on every support response we send. Our customers leave awesome comments and we will often simply respond and ask if we can use that quote on our testimonials page. There is the odd occasion it can’t be done but more often than not the customer is very happy for us to do so. You can see those comments streaming through in real time on our feedback page. Your support team have a really great pulse on who your power users are. Instead of only relying on outbound testimonial sourcing, embrace the users who are already telling you great things! Because we know social proof is so effective in addressing prospect’s concerns, we’ve incorporated this into our testimonial page. Don’t be afraid to dive deeper into quotes that customers provide. If a customer says “I love this product! !” ask them why. What did it do for them? Be as descriptive as possible. Nabbed that perfect, specific testimonial? Great! Now it’s time to appreciate the customer that provided it. If you’re the kind of company with a swag closet, reach in and pull out something cool. Send a handwritten letter. Use and recommend their products to friends. As we mentioned earlier, customers going out on a limb and recommending your service is a huge favor. Don’t forget to treat it like one! Otherwise, they might not be so forthcoming next time you come knocking. A final point: if you don’t ask, you don’t get. It might feel awkward starting to ask for testimonials and quotes, and you might not even hear back from the first few customers you ask. That’s alright! Keep asking, keep building valuable products, keep providing amazing support and you’ll start seeing testimonials roll in. 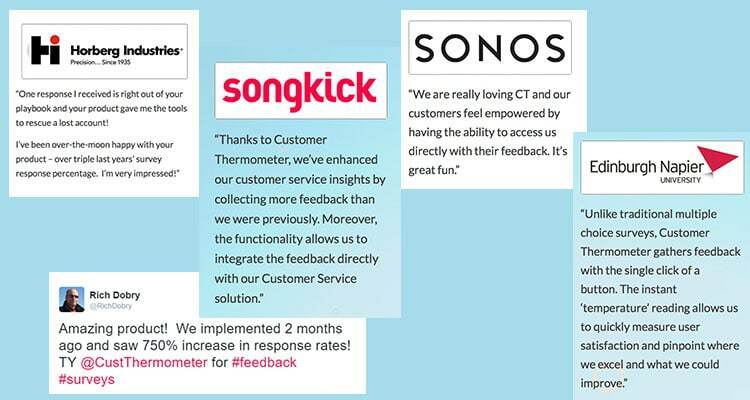 We’re incredibly proud of the things our customers have accomplished with Customer Thermometer. That’s what keeps us going every day. Customer service is a profession founded on a common cause – celebrating our customer success! Sharing tips and best practices is central to the market we are in, and we are lucky to be a part of it. ps. If you’d like to be featured on our Customer Thermometer testimonial page, please get in touch. We’d love to chat with you!